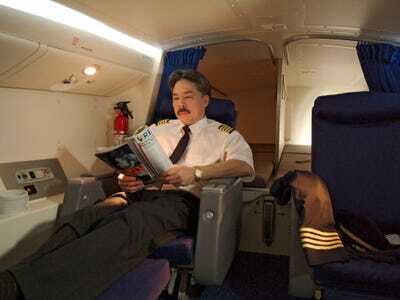 Courtesy of BoeingFlight attendants stretching out during a long haul flight. 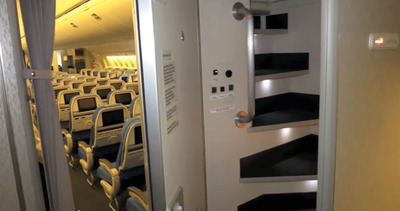 But some cabins are entered through a secret hatch that looks like a typical overhead bin. 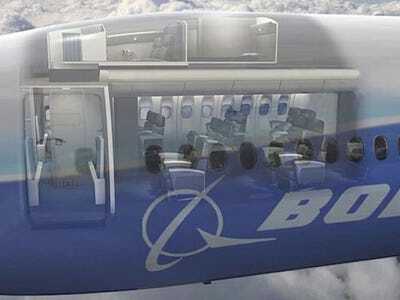 This is on American Airline's Boeing 773. 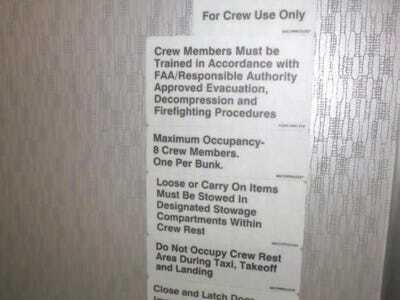 A sign divulges what's behind these doors (eight crew member bunks), though you've probably never read it that closely. 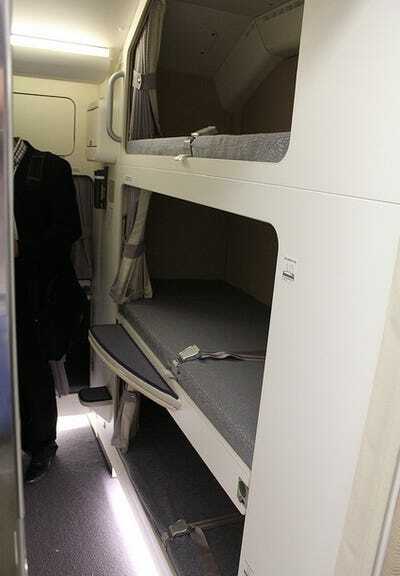 Upstairs are cramped, windowless bedrooms with eight beds (or seven, depending on the airline). 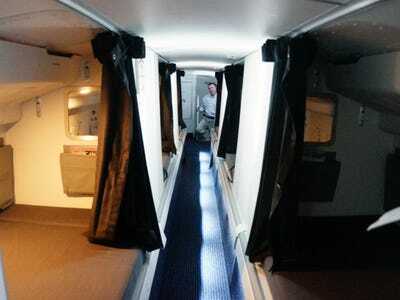 This is the cabin's rest area on the Boeing 787 Dreamliner. 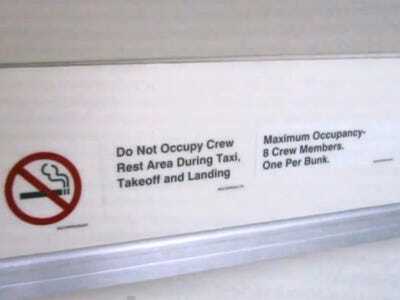 A strict 'one per bunk' warning advises against any funny business. 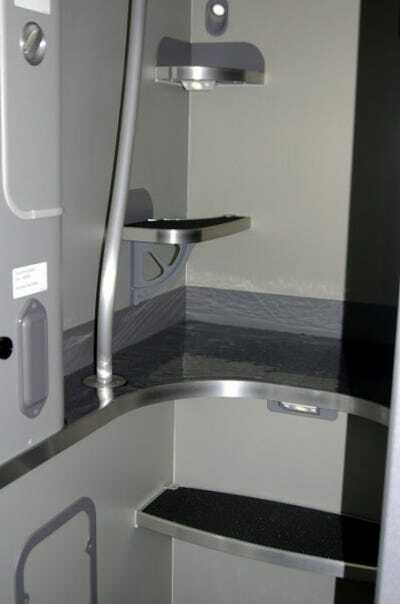 Bunks generally have reading lights, hooks, and mirrors, as well as some personal storage space. Usually they come with blankets and pillows, occasionally even pajamas. 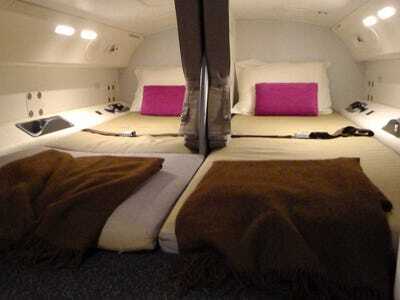 While most rooms seem claustrophobic, this luxe cabin on Singapore's Airbus A380 looks pretty comfortable. There's no room to stand up.